Manoelle Lepoutre took over as Senior Vice President, Civil Society Engagement on September 2016. Her division fosters dialogue and collaboration with civil society and spurs initiatives to promote social and environmental progress. Manoelle Lepoutre was Senior Vice President, Sustainable Development and Environment from 2009 to 2013, and Senior Vice President, Total Senior Executives from 2013 to 2016, guiding and strengthening the focus on environmental and social responsibility issues. The Total Ecosolutions, Total Access to Energy and Total Energy Ventures programs are concrete examples. She also chaired the Total Women’s Initiative for Communication & Exchange (TWICE) network from 2008 to 2013, to promote gender equality and help women access senior positions of responsibility. Manoelle Lepoutre began her career at Elf in 1982 in R&D and exploration positions in Exploration & Production. In 1998 she was appointed Vice President, Exploration in Norway for Elf, then Vice President, Geosciences for Total in the United States in 2000, before moving on to serve as Vice President, Research & Development for Total Exploration & Production in 2004. Manoelle Lepoutre is a graduate of the Ecole Nationale Supérieure de Géologie de Nancy (ENSG) school of geology and the Ecole Nationale Supérieure des Pétroles et des Moteurs (ENSPM) engineering school. 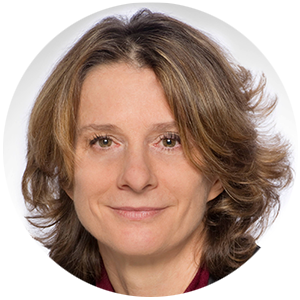 In addition, she sits on the board of directors at Eramet, where she was appointed in May 2011, and the French non-profit Fondation Villette-Entreprises.